Gorman Rupp Reliasource lift stations are proudly manufactured at Gorman Rupp’s Mansfield, Ohio headquarters. Reliasource lift stations incorporate valves, controls, pipes, and pumps working together to provide a packaged, fully customizable, above or below ground, lift station to meet the industry’s most challenging applications. Every lift station is 100% manufactured in house by Gorman Rupp’s experts and comes standard with a 5-year warranty. Custom Engineering and Design – Every station is designed to meet the demands of each individual application allowing for right mix of pumps, valves, motors, and controls to be implemented to maximize compatibility with the customers’ requirements. Testing – Each station is tested to meet the customer’s specifications to provide piece of mind that the system can meet the requirements of the application Parts and Service – 99% of all parts order ship within 24 hours. 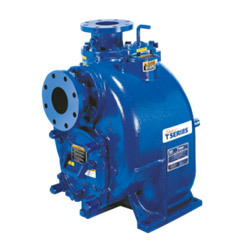 Superior Solids Handling – Pumps 4 inch and larger are designed to pass a 3” diameter spherical solid. Ease of Maintenance – Self-priming design allows the pump to be mounted above the liquid level. 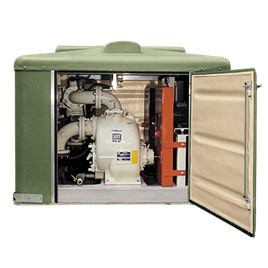 Maintenance is performed without disconnecting piping and with standard hand tools. No special motors or proprietary seals. Shimless Coverplate – Allowing for easy adjustment of the clearance between the impeller and wearplate eliminating the need to realign belts, couplings, or other drive components. Eradicator – Self-cleaning wear plate to prevent flushable wipes from clogging the pump and eliminating expensive downtime. You can learn more about Gorman Rupp by visiting their website at https://www.grpumps.com/ or by contacting your local Pelton Environmental sales engineer.